Steve Moreen and I had the good fortune to join an IT Networking class in Los Angeles organized by Chapter 47 and led by legendary broadcast IT rock star Wayne Pecena. Not only did we learn a few things, we experienced how a truly talented teacher does his work. 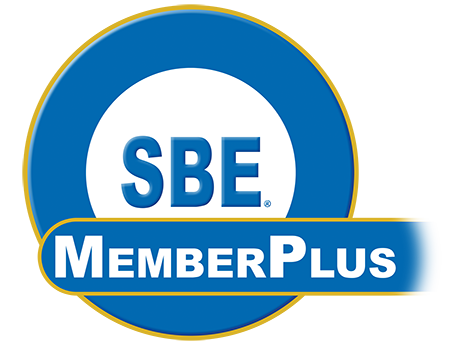 If you have among your goals this year to bring your knowledge level of broadcast engineering up a notch or two, you could do worse than go MemberPlus this year when you join or renew membership with the SBE. The $175 MemberPlus gives you full access to not only the live webinar courses held throughout the year but all those in the can from previous presentations. Wayne is just one of the many talented presenters whose courses are included in this offer. If you can binge on a television show series or three, you may very well have the time to improve your professional knowledge. You should be getting your SBE membership renewal notice in the mail. If you’re not currently a member, check it out now.